“What do you see, Gray-Horse?” asked the rooster. “That would be something for us,” said the rooster. 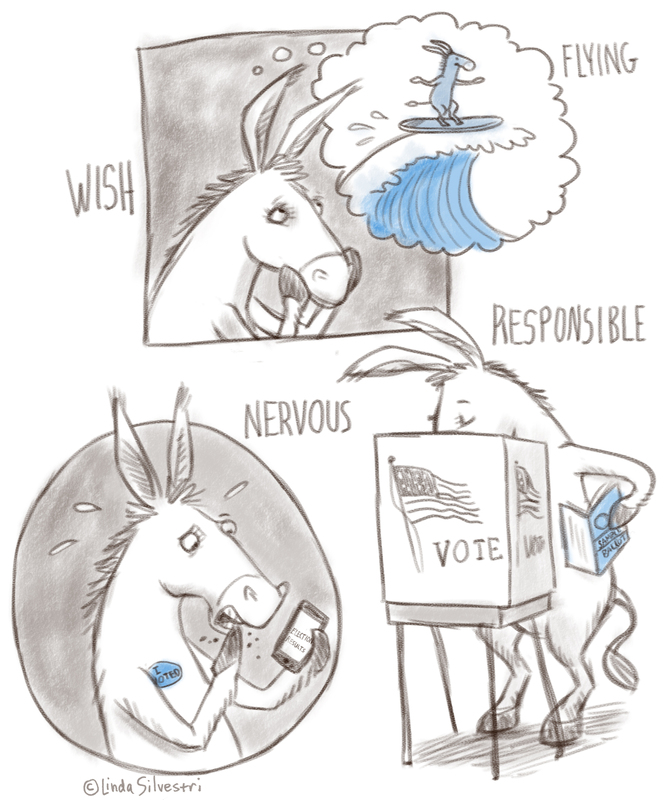 “Ee-ah, ee-ah, oh, if we were there!” said the donkey. Then the animals discussed how they might drive the robbers away, and at last they came upon a plan. 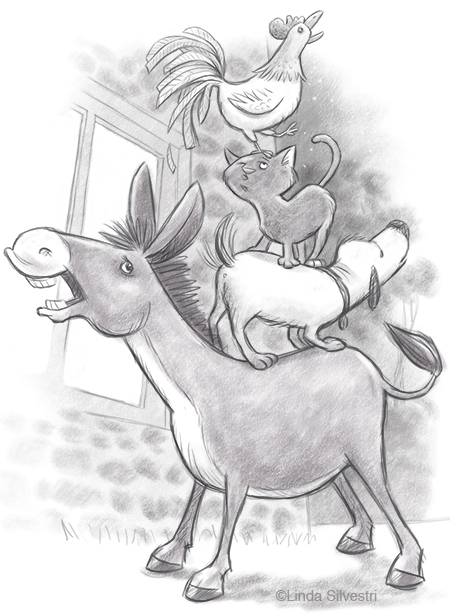 The donkey was to stand with his front feet on the window, the dog to jump on the donkey’s back, the cat to climb onto the dog, and finally the rooster would fly up and sit on the cat’s head. When they had done that, at a signal they began to make their music all together. The donkey brayed, the dog barked, the cat meowed and the rooster crowed. Then they crashed through the window into the room, shattering the panes. A couple of weeks ago the Illustration Friday word of the week was “totem.” I’m telling you, time flies, because I’m just getting to it up now. Better late than never, I suppose!